COAST is looking for Expressions of Interest from artists, musicians and performers who would like to stage an exhibition, performance or event as part of this year’s COAST ARTS programme of events. Expressions of Interest are invited from all disciplines including Film, Art, Literature, Music and Theatre. Once reviewed by the COAST ARTS Programming group we’ll be in touch to discuss your proposed event. proposed Entry Fee for visitors. 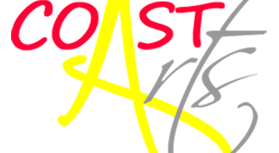 The COAST ARTS programming group will review all expressions of interest before events are included in the programme. COAST will take 5% commission on sales arising from exhibitions in non-gallery venues. Galleries may charge commission and it is up to the individual artist to negotiate this. All exhibitions/events must be open to the public at the advertised times. Participants are responsible for delivering and setting up their event and for clearing and leaving their venue in good order once the event has finished. COAST will not accept any liability for loss of or damage to your work. We recommend artists to take out their own insurance. The programming group decision is final and no discussion can be entered into.